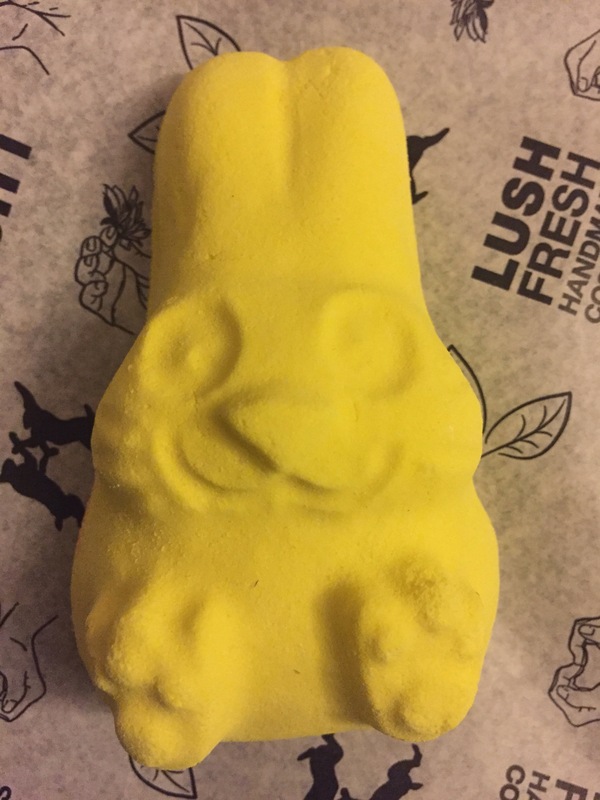 This year I have been very excited for the Easter range and it is finally here. The 2016 Easter range has lots of new products as well as many favourites returning from last years collection. There are also three Oxford Street exclusive products as part of this years range. This bath bomb has a sweet candy scent. 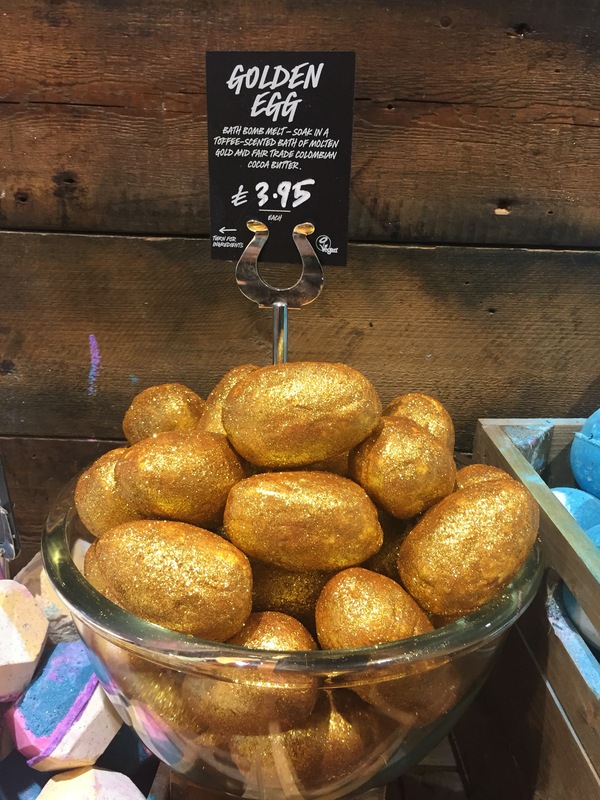 A bath bomb/ bath melt mix, this is a super sparkly toffe scented egg. Brand new this year, this huge bath bomb is caramel scented and is designed to be cracked in half! There is even a little surprise inside. This is an Oxford street exclusive product, but can also be found inside the Bouncy Bunny and Carrot Gift sets. This product has a lovely citrus scent. 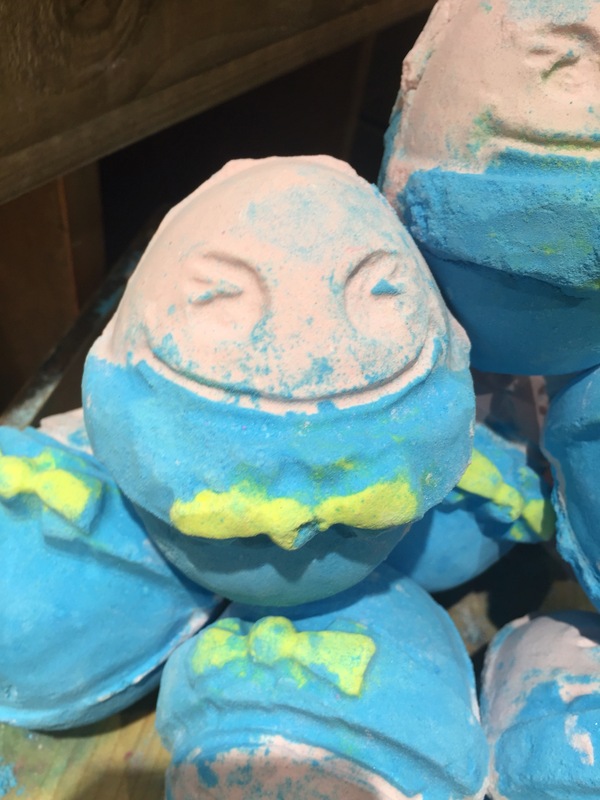 Which Came First Bath Bomb – £6.95 each. 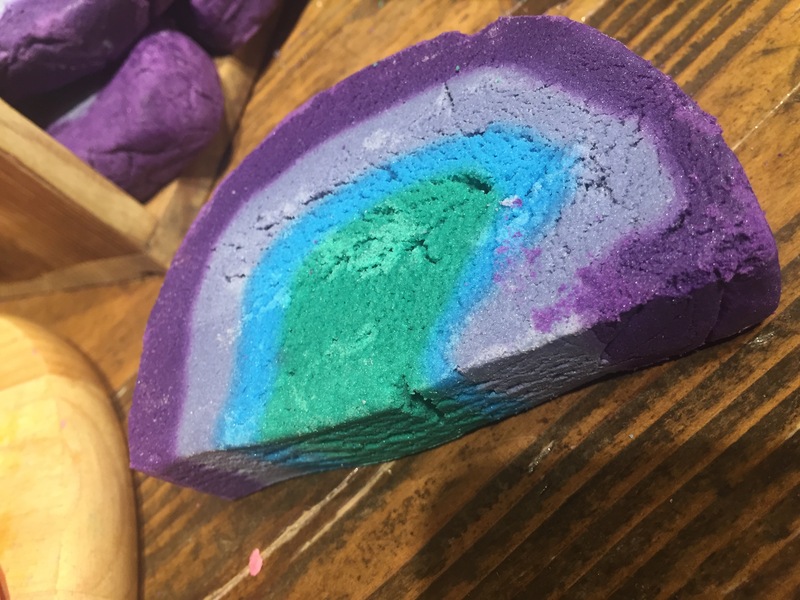 Another very large bath bomb that is designed to be cracked in half, there is a little mini bath bomb waiting inside this one. 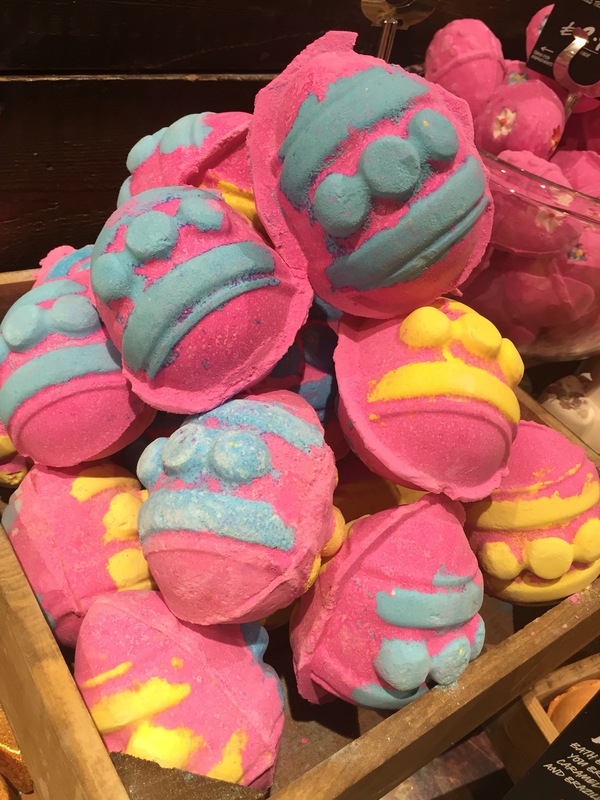 This bubble bar has had a redesign this year and it now exstremly bright and colourful! 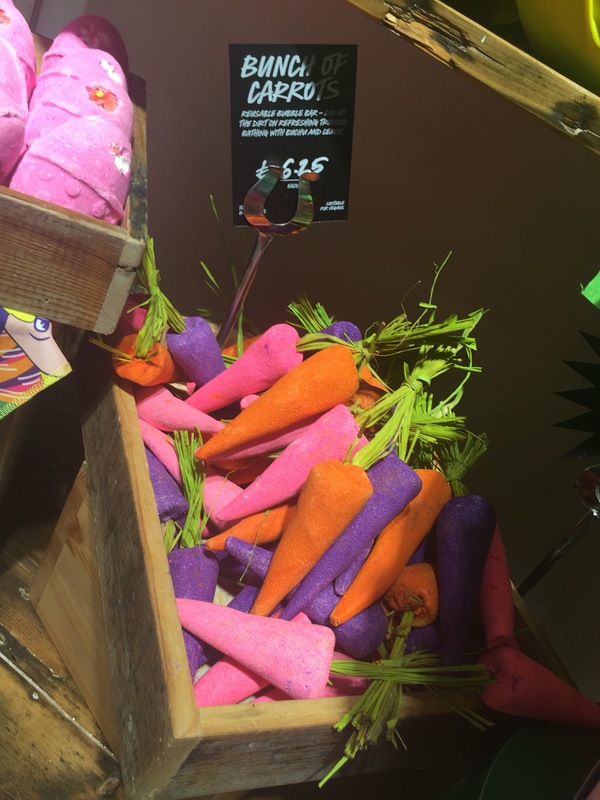 These carrots smell just like the snowman shower jelly from the Christmas range. This is an Oxford street exclusive product. Again another Oxford street exclusive, tweet it’s designed like a little tiny chick and is very cute indeed. 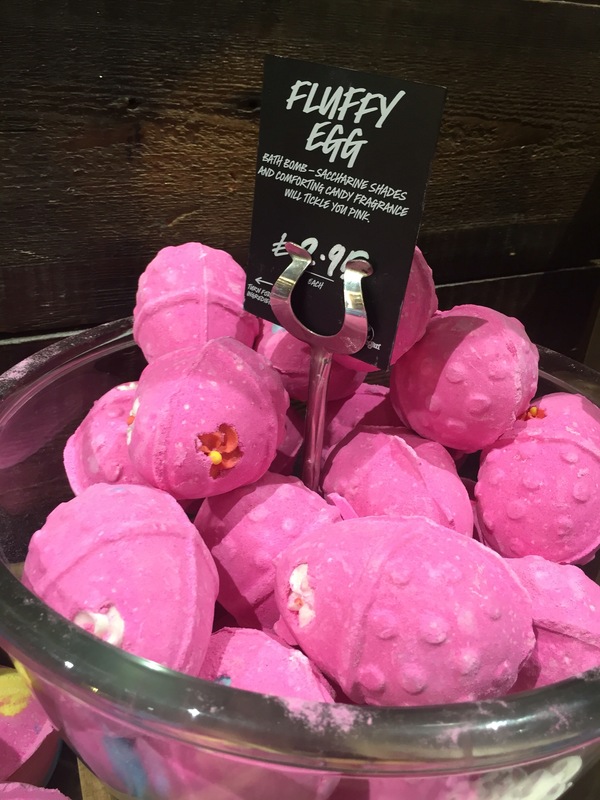 A huge bubble bar with a wonderful violet scent. A colourful and fruity soap with lots of added sparkle. 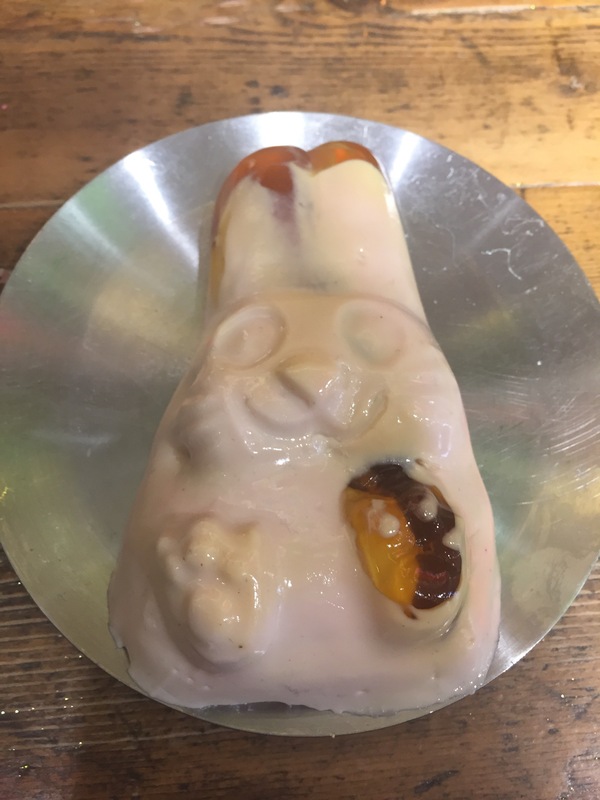 A very cute rabbit shaped showe jelly with a subtle orange scent.